If Central is all glitz and glamour, Sheung Wan, just a stone’s throw to the west, is its older, more mature neighbour. When British fleets first landed in Hong Kong in 1841, this is where they went ashore; though today the area where they landed, Possession Point, has been heavily reclaimed, and now is quite far away from the waterfront. It is one of the oldest districts in Hong Kong. 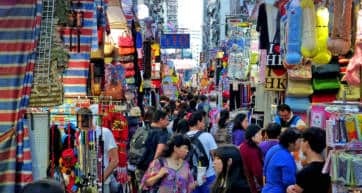 Sheung Wan is known for its Dried Seafood District, primarily along Des Voeux Road West, as well as Wing Lok Street, where Bird’s Nest shops are concentrated. 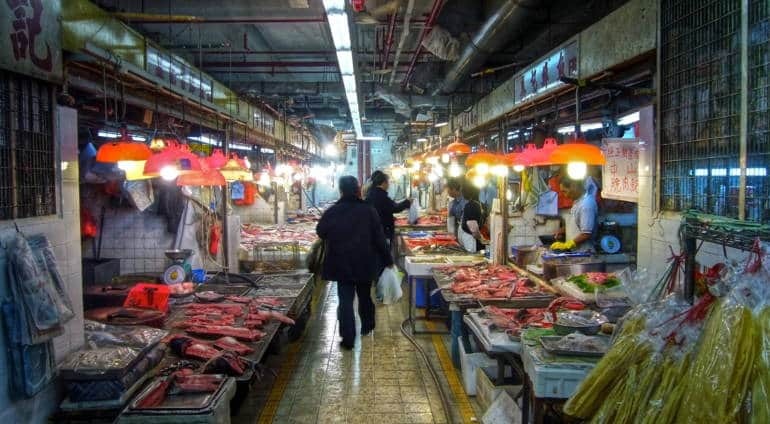 Walking around this area is fascinating, as you can see (and smell) fish, scallops, seahorses, starfish, sea moss, ginseng, and much more for sale, or drying in the sun on the side of the road. Another interesting little spot is the tiny Man Wa Lane, known as ‘Chop Alley’. 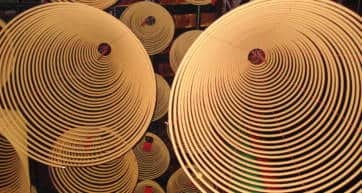 In China, for more than 3,000 years, chops, or hand-carved stamps, have been used as official signatures by businesses and civilians alike. Today you can get your name on a chop in English, or translated into Chinese, which makes a cool souvenir. Nearby is the Western Market, one of the oldest buildings in the area and a historical monument. There isn’t much to see inside, but it is a landmark that reflects how much the city has grown all around it. A bit uphill is Hollywood Road, with lots of art galleries and antique shops, which may or may not be authentic, but you can find lots of kitschy curios such as Chairman Mao wristwatches and hand-painted opium containers on Upper Lascar Row, also known as Cat Street. 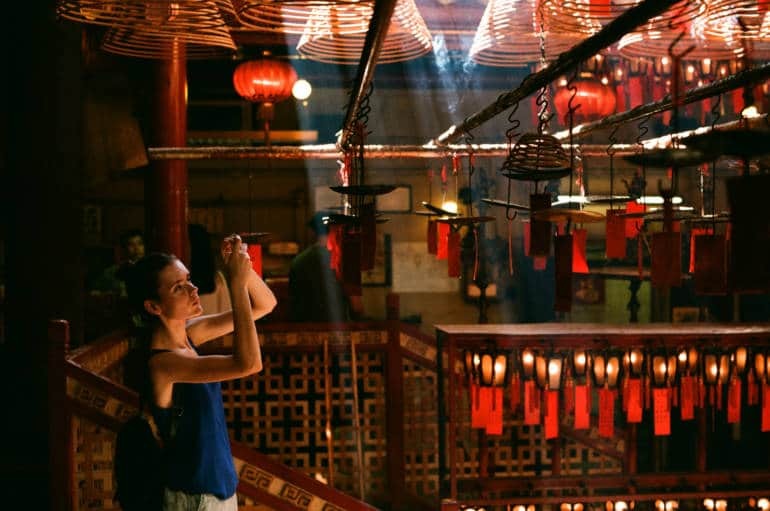 Man Mo Temple is small but historic, and once you step inside you’ll be awed by the huge coils of incense hanging from the ceiling. Built in 1847, this temple pays tribute to God of Literature (Man) and the God of War (Mo). Sheung Wan is also the site of the Macau Ferry Terminal, where you board the super fast TurboJET for a quick trip over to this once Portuguese colony. The terminal has a lot of restaurants, and a handful of overpriced shops. Also along the waterfront is the lovely Sun Yat Sen Memorial Park, for when you need a break from the noise of the concrete jungle, and want to enjoy the beautiful harbour views. Have a sweet tooth? If you’re at the Western Market, pop in to Honeymoon Desserts for some amazing treats like mango pudding and green tea ice cream. Dim Sum Square is known for its good dim sum and long lines that are worth the wait. But if you happen to be up by Hollywood Road, Man Mo Dim Sum has a more contemporary take on the menu, such as French Peking Duck. To eat like the locals, visit the Sheung Wan Cooked Food Centre where the food is excellent, the decor is simple (think plastic stools and big round tables), and beer is cold. This cooked food centre has not only Chinese but also Thai, Vietnamese, Indian and Italian shops. ABC Kitchen is an especially popular stall. There’s a great happy hour at Shore, located at The L Place, has a fabulous open-air terrace with great views of the city, even though it’s only on the 4th floor. Sheung Wan has a number of Japanese restaurants, such as Kura Ramen and Pokeworld, offering reasonably prices dishes. There are also small cafes and coffee shops to choose from, like Brew Bros Coffee, Barista Jam, and Kaffeine. This is an excellent area to stay, due to its close proximity to Central, and attractions in walking distance. Taking the historic Hong Kong Tram, which runs through Sheung Wan, is also a fun way to get around. Some good and affordable options include iclub Sheung Wan Hotel with clean, modern rooms, and Sohotel. 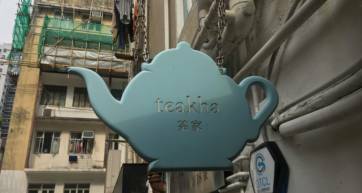 If you need easy access to Sheung Wan MTR station, two good choices are The Bauhinia, which is known for its larger rooms (at least by Hong Kong standards), and the Holiday Inn Express Soho. The garishly gold Best Western and Grand City Hotel are both well located, though a bit more west of the MTR station (about a 10 minutes walk or so).